Not many remember film actress Gloria Graham, whose best years included the role of Violet in "It's a Wonderful Life," followed by a string of film noir successes. In 1952, she won the Best Supporting Actress Oscar for "The Bad and the Beautiful." As her career wound down, so did she. This biography finds her in 1979 Liverpool, playing dinner theater and living in a boarding house where she meets decades younger actor Peter Turner. Their affair brings the couple back to California and finally a return to Liverpool, where Graham elects not to treat the cancer that will ultimately end her life. The structure tells Graham's story in flashback, most notably her marriage and divorce from director Nicholas Rey, followed a few years later by her marriage to Rey's son (from an earlier marriage) her one-time stepson. Hmmm, I wonder if that might have made a better story. Annette Benning remains one of our time's great actresses. I suspect she took this role, hoping for another Oscar nomination. Graham comes across needy, usurious and hard to take. "Sunset Boulevard" does this a lot better. 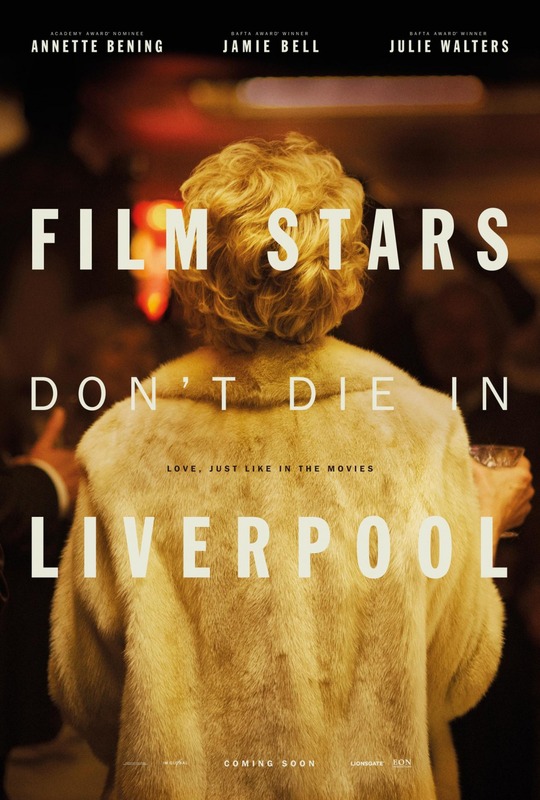 "Film Stars Don't Die in Liverpool," 2 stars, rated "R." Does it deliver what it promises? Aging star drama. Is it entertaining? Long and tedious. Is it worth the price of admission? I'm waiting for Benning's next great role. This one isn't it.